The 2019 New Jersey Marathon Training Program is a 17 week program designed for all levels of runners who have previously run at least one 10k road race (completion of a half marathon suggested, but not required). 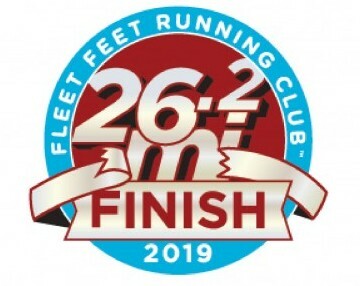 We offer two "tracks": one builds up to one 20 mile long run (which is sufficient for most runners and is especially appropriate for first time marathoners) while the training program for the other includes two 20 milers and a 22 miler (appropriate for veteran marathoners and/or those looking to improve their marathon time). We can help you decide which track is the safest and most appropriate for your goals. This year's program is especially unique in that we are featuring a "marathon challenge". The New Jersey Marathon, which is on April 28th, also offers a 5k on April 27th. As a participant in our program, you will train to do BOTH the 5k on Saturday and the full marathon on Sunday. As a result, you will receive an additional "challenge medal" for doing both races! Each week will feature THREE organized training workouts (Tuesdays @ 6PM, Saturdays @ 9AM, and Sundays @ 8AM), including form lessons to help participants avoid injury and increase their efficiency. Long runs will feature support stops, including water, an electrolyte beverage, and other goodies. All participants will receive a punch coupon (with TONS of savings! ), weekly motivational and educational eNewsletters, a detailed daily training schedule, a technical shirt, graduation party and more! Whether it will be your 1st marathon or your 50th, this program is for you! All paces are welcome. Why: Because you're worth it!!! 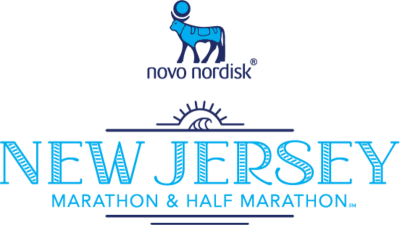 Description: The 2019 New Jersey Marathon Training Program is a 17 week program designed for all levels of runners who have previously run at least one 10k road race (completion of a half marathon suggested, but not required). We offer two "tracks": one builds up to one 20 mile long run (which is sufficient for most runners and is especially appropriate for first time marathoners) while the training program for the other includes two 20 milers and a 22 miler (appropriate for veteran marathoners and/or those looking to improve their marathon time). We can help you decide which track is the safest and most appropriate for your goals. This year's program is especially unique in that we are featuring a "marathon challenge". The New Jersey Marathon, which is on April 28th, also offers a 5k on April 27th. As a participant in our program, you will train to do BOTH the 5k on Saturday and the full marathon on Sunday. As a result, you will receive an additional "challenge medal" for doing both races!